Government lawyers say 54 of 102 young children will be reunited by Tuesday's deadline. A federal judge has agreed to extend Tuesday's deadline for the government to reunite 102 migrant children under the age of 5 who were separated from their parents under President Donald Trump's "zero tolerance" policy. Judge Dana Sabraw asked government attorneys to provide an update by Tuesday morning on which children will be reunited and who will require more time, and to deliver a proposed timeline for reuniting the remaining children with their parents. During the conference in federal court in San Diego, Sabraw said he recognized that some cases "will necessitate additional time." 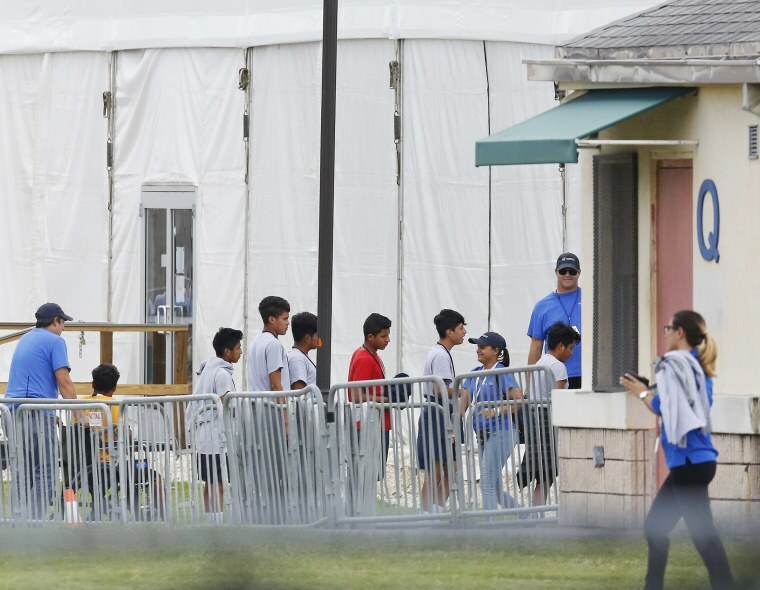 Sarah Fabian, at attorney for the Justice Department, said she expects that 54 out of 102 children will be reunited with their parents on Tuesday. The government requested a deadline extension on Friday, telling Sabraw it would be able to reunite only about half of the children by the court's first deadline of Tuesday because it could not locate many of the parents. On Monday, Fabian said nine of the parents have been deported and nine have been released, making them more difficult to track down. Other parents have criminal records that will keep them from being reunited, Fabian said. The government's difficulty in reuniting migrant children with their parents has caused outrage among immigration and child welfare advocates who warned against separation. From May 7 to June 20, U.S. Customs and Border Protection was instructed to prosecute any adult immigrant caught crossing the border illegally, thereby sending parents to federal custody while children were taken into the care of U.S. Health and Human Services. The agency has said nearly 3,000 children need to be reunited as a result of Sabraw's order that all children separated from their parents be reunited, even those who were taken before the policy went into place. Health and Human Services Secretary Alex Azar said the agency is searching for parents through various government databases. "The way [a family separation] is put in the system is not in some aggregable form, so we can't just run it all," Fabian told Sabraw on Friday. On Saturday, at Sabraw's request, the government provided a list of the 102 children under age 5 who said they had been separated from their parents by Border Patrol, along with any information on their parent's whereabouts. Lee Gelernt, an attorney representing the ACLU in the case, said the government had taken "significant steps" in the last 48 hours.